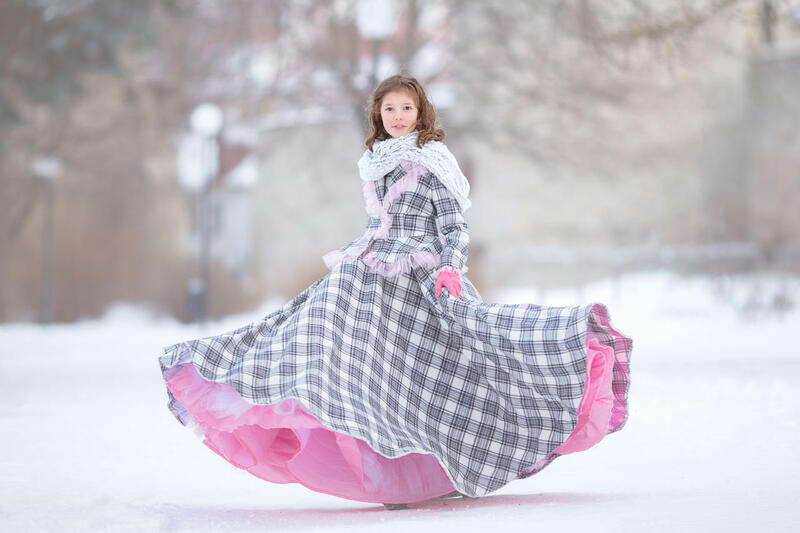 Carmen is made to dance on snowy fields and twirl in winter sunlight. 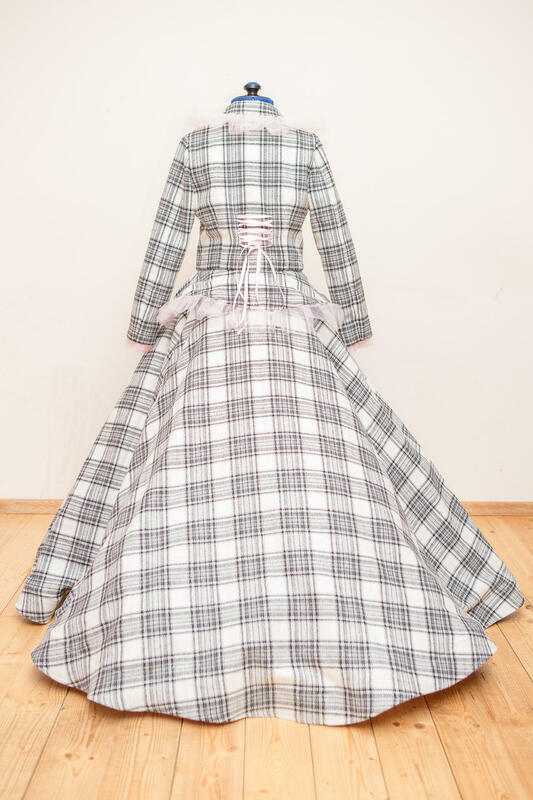 It is the perfect classic winter-dress every nordic princess should possess in our cold climate! 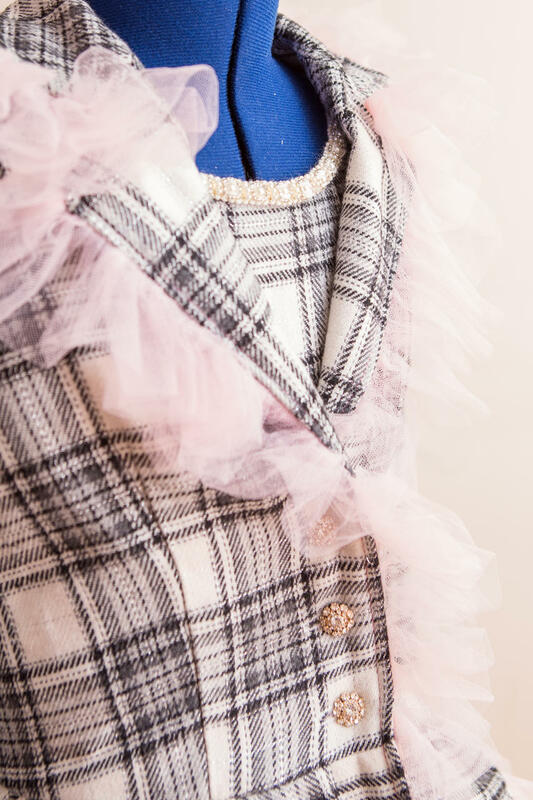 Made from woolen fabric, this dress is warm beyond words and one can always hide another layer or knitted leggings under it for extra comfyness! 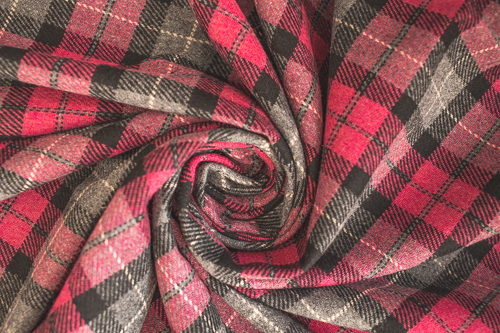 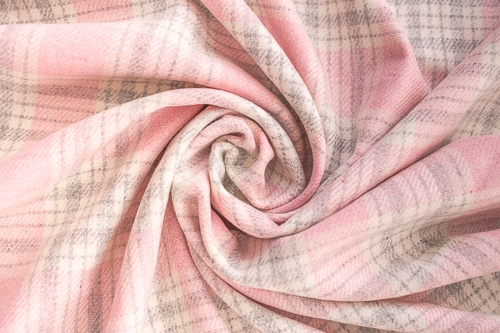 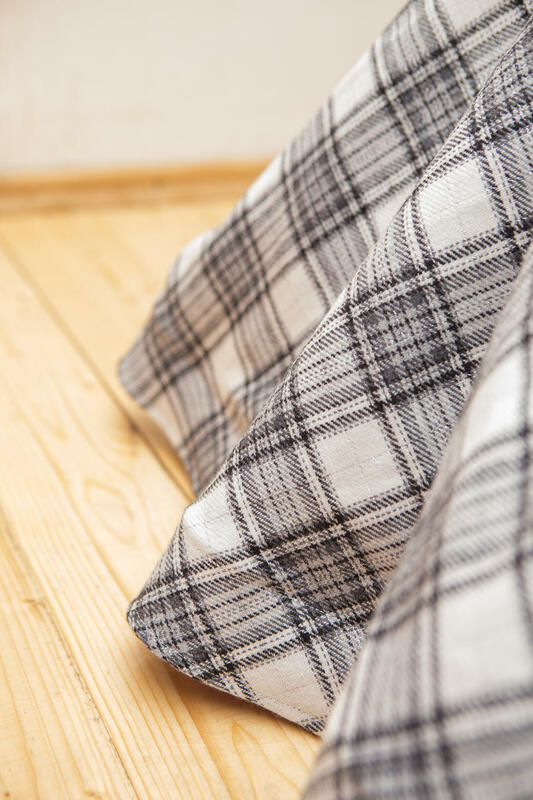 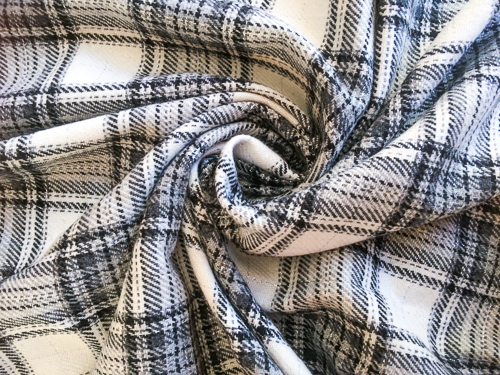 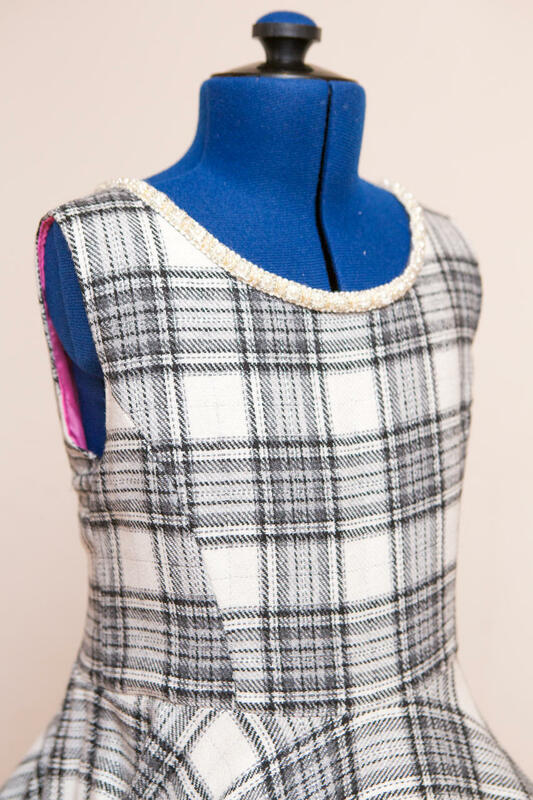 Warm woolen fabric with classic chequered pattern. 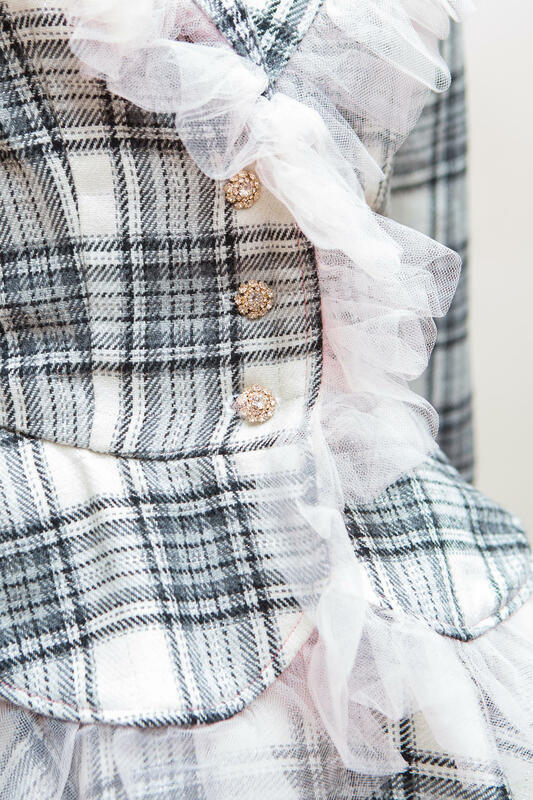 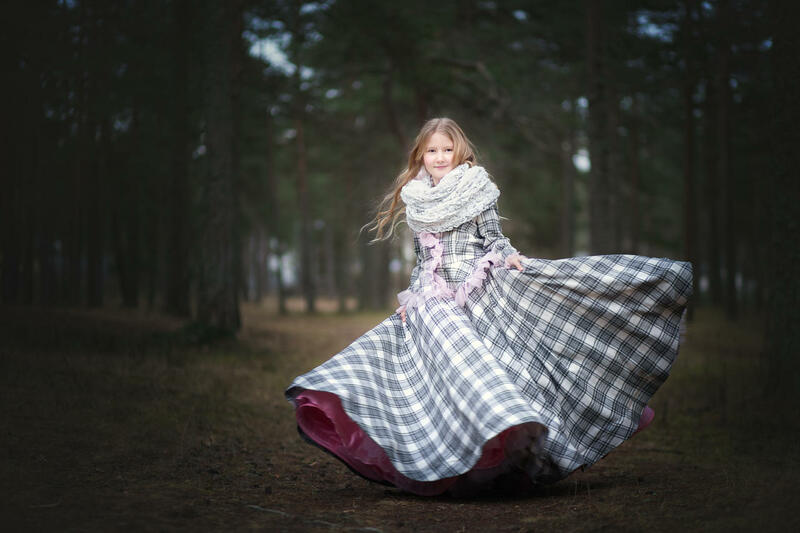 Warm woolen winter dress with a pink twist only revealed in a twirl! 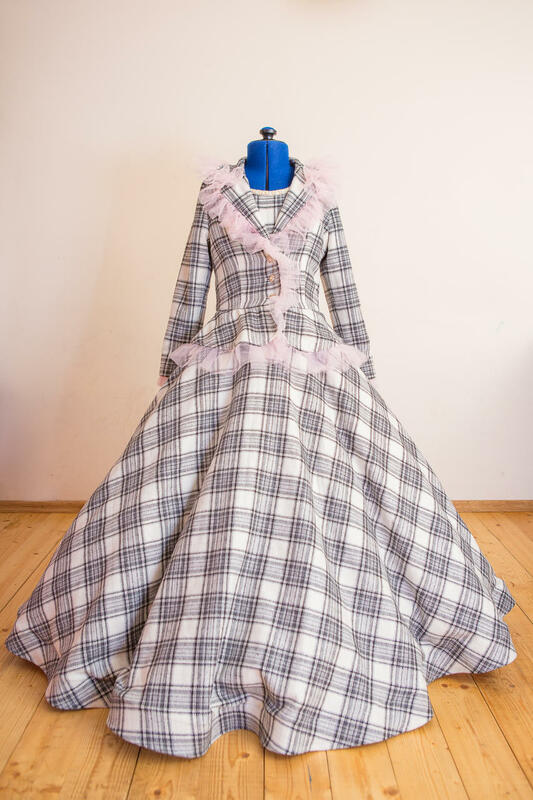 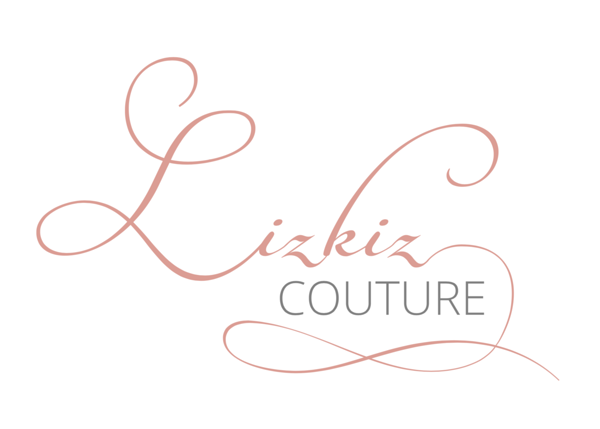 The dress and jacket are to be ordered separately! 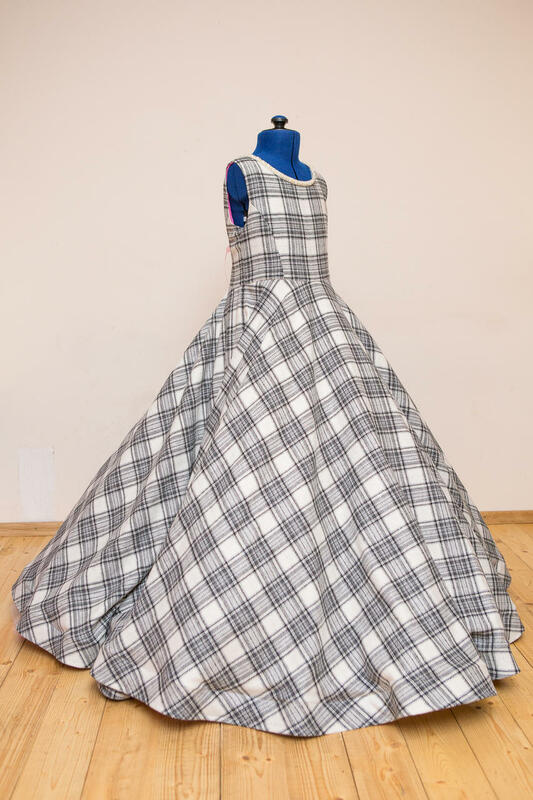 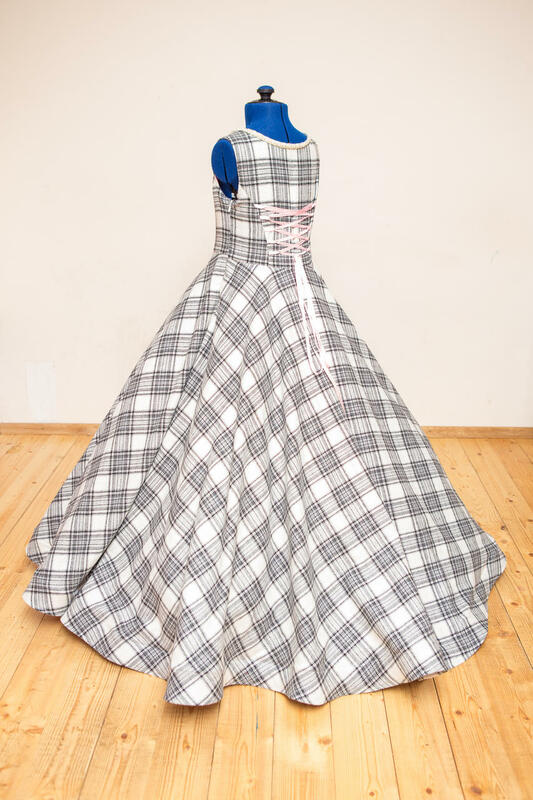 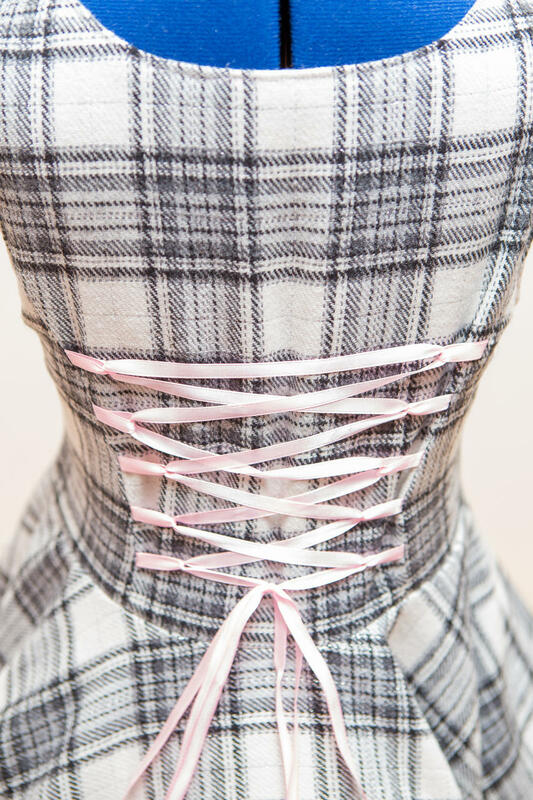 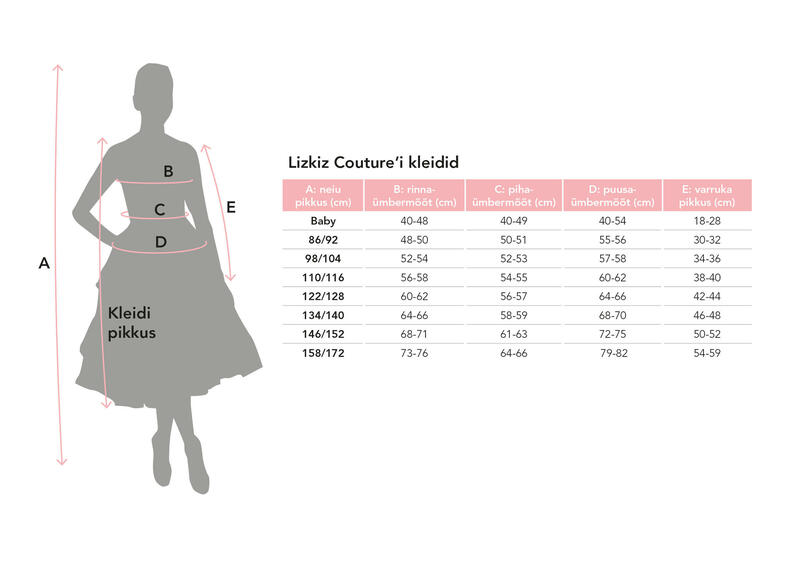 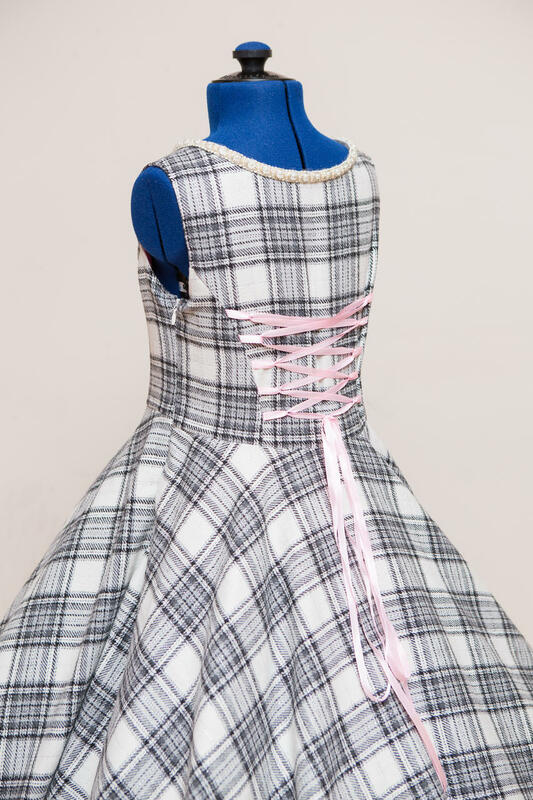 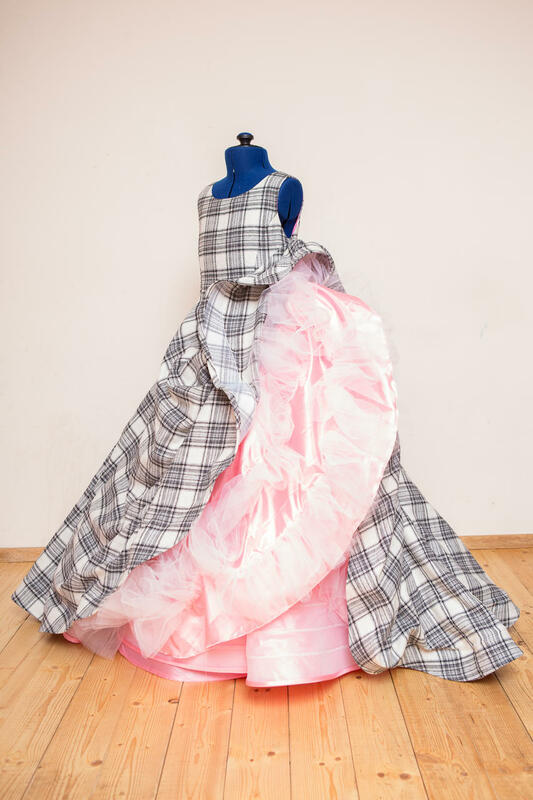 Ifyou wish, we can sew in pockets for the dress!